Forum ONLY Giveaway! :) Win 'A Royal Christmas' book from Buckingham Palace! Thread: Forum ONLY Giveaway! :) Win 'A Royal Christmas' book from Buckingham Palace! A Royal Christmas is the first official publication to explore the fascinating Christmas traditions of royalty past and present. Drawing on many previously unpublished objects and images from the Collection, this highly visual book offers insight into the influence and charm of royal festivities. The book details the history of the royal broadcast, which is a cornerstone of Christmas for many people. It also discusses the introduction of Christmas trees to Britain by Queen Charlotte and how this custom was later popularised by Queen Victoria and Prince Albert. 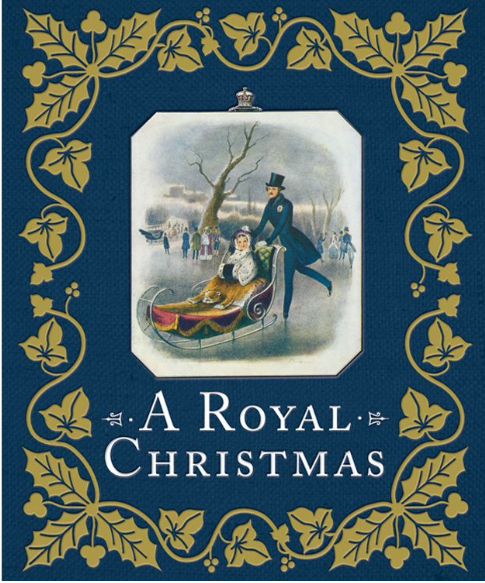 In this beautiful gift book, expect to see royal Christmas dinner menus and recipes; Queen Victoria’s account of Prince Albert falling through the ice while skating; photographs of Princess Elizabeth and Princess Margaret performing Aladdin at Windsor’s Christmas pantomime; exquisite festive jewellery; and many more seasonal tales. And the Giveaway is ONLY for Forum Members. This could be Brand New Members, or our Dear Friends who have been here for years. Simply comment on this thread to enter! I will ship this internationally - may not arrive in time for Christmas. I would absolutely love to win this treasure. We visited England for the first time this past summer. This is just wonderful,would be great collector piece. I hope I am doing this right? I am new to forums. This would be a beautiful Christmas book and I am looking forward to the new season of "VICTOrIA" on PBS!! This Giveaway is CLOSED now - I'll be contacting the winner by EMAIL.